Mellel is a powerful, reliable word processor, and a long time favorite with writers and scholars, for long document writing. 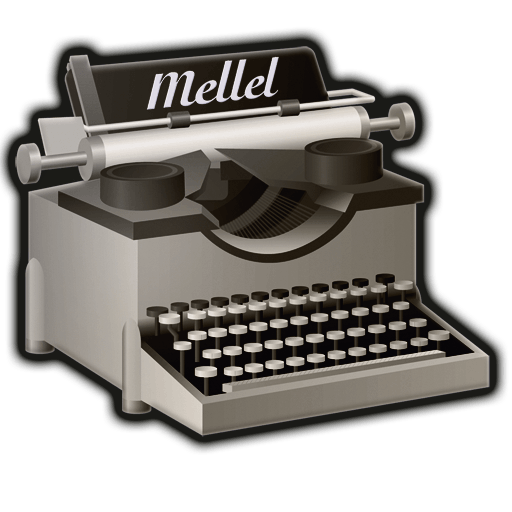 Mellel is a powerful and reliable word processor for people who are serious about writing. Mellel was designed to allow you to create long and sophisticated documents - from a book to a dissertation... or just a letter to your aunt (she's on Facebook, though). Do not let Mellel's speedy launch, nimble performance, or humble footprint mislead you - there are no bells and whistles, but there is power. In fact, we'll openly claim: Mellel is the most powerful word processor for the Mac OS. Looks matter, and Mellel has no competitors when it comes to controlling the way your document looks and creating consistent, predictable, and beautiful looking results.Consistency and predictability are the most important things when dealing with text and images. In Mellel, flexibility when setting columns or text does not come at the expense of of getting the results you want to get: Images with text flowing around them stay where you set them to stay, columns stay balanced, and headings don't go strolling down the page just for fun. Looks matter, consistency matters even more. As your document gets longer, it gets harder to keep all things in it in order. Mellel's superb Outline feature is just the tool to achieve that. The outline pane gives you a bird's eye view of your entire document, and lets you, tells you where you are, and lets you move things around easily. To streamline your document's content, you can view elements such as captions for figures, tables, charts, and so on separately - and review them one by one. Another excellent streamlining tool is Mellel's find: It allows you to create GREP-like searches, save them and create sets of Find Actions - allowing you to perform dozens of searches all at once. Headings are easy, right? You just click the right style (in Mellel, the right auto-title) and there you have it. But with Mellel you can achieve so much more: you can set your title to look differently than its numbering, set which headings will be numbered and if they'll reset the numbering, set headings to always appear at the top of the page, add a running header that changes dynamically, insert tabs and line breaks in a heading (but not in the ToC), set the content of the outline (to include just the title, for example), force appending body text to headings, and so on. With most of those, Mellel is the only word processor that allows you to do this automatically and reliably. You control how your document headings look, how the outline will look, how your Table of Contents will look, and so on. Once you've tried this with Mellel, it would be tough imagining how you could do without those up until now. Mellel offers you an easy way to handle citations and bibliographies, keeping them always in check, and preventing this delicate task from becoming tangled and annoying. The Bibliography palette in Mellel allows you to view all the citations in the document, navigate to them, switch to a bibliography manager, scan, unscan, rescan, etc. Scanned and Unscanned citations in the text are highlighted, and you can open them and easily set special options (e.g., page numbers, omitting author or year). Finally, there's the bibliography: You can use the preferences to set how it will appear in the document, move it around in the document, and otherwise manipulate it.